Camogie: Goggin hails players on "massive day for Kerry Camogie"
Kerry manager Stephen Goggin has hailed the commitment of his squad of players after they defeated Roscommon by 2-8 to 0-4 in the Littlewoods Ireland Camogie League Division 3 Final, describing it as a "a massive day for Kerry Camogie." There is only one adult Camogie club in Kerry but Clanmaurice advertised their strength by reaching the All-Ireland Junior Club Final last December, only losing in a replay to Kilmessan of Meath. 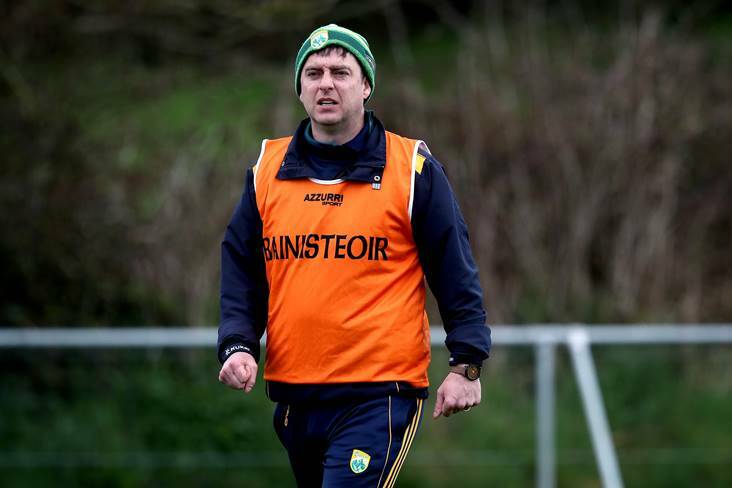 That run ensured that they were much fitter kicking off the National League than is normally the case and they finished an outstanding spring by consigning Roscommon to their third consecutive defeat at the final hurdle. "It's a massive day for Kerry Camogie" said Goggin. "We've been trying for a couple of years since we came into Division 3 (as winners of Division 4 in 2014) to progress to Division 2 because you need to start playing more matches and you need to start playing better opposition. That's the only way you're going to improve. "There was a lot of pressure on to perform and to be fair to the girls, to a player they were outstanding." A goal from a Patrice Diggin free gave them an early cushion but they still only led by five points approaching half time, despite having playing with a strong wind. An Alannah Whelan goal after 28 minutes was crucial however. "It was ideal. It came at the right time and I suppose it knocked the stuffing out of Roscommon. They were defending well in the first half, it was real stop-start and we couldn't get going but we produced one great move and the goal came from that." That made it 2-4 to 0-2 at the break and Roscommon were unable to make any inroads as Kerry saw out the game impressively. Goggin explained that while there were advantages to the unique circumstances surrounding Kerry Camogie, there were very obvious disadvantages. "When Roscommon finish they'll go back and play club matches in their own county. These girls won't do that because we don't have the teams. We have one adult team and two underage teams. So we don't have the luxury of letting them back to get away from the county scene. "They're with us from when we started in November to whenever we're knocked out of the Championship and then they go into the Munster Championship with the club. We just work around it, try to get challenge games. There's massive credit due to these girls. It's unbelievable. "There's 26 or 27 training every night. We never have to give out, or have meetings about attendance. They put their lives on hold. This is my third year involved and I never had to say about giving up drink or anything. They do it themselves. They're an easy group to work with." A member of the Causeway hurling club, Goggin is fully aware of the passion for hurling and Camogie in North Kerry. "We die for the hurling. You'd get more people going up from North Kerry to the All-Ireland hurling final than you would to the football if Kerry were in it. We live and die for it below in North Kerry. "The girls have grown up with it, they have brothers playing with their club teams, they were playing with the boys when they were young, they have the love for it and they deserve every bit of credit they can get."